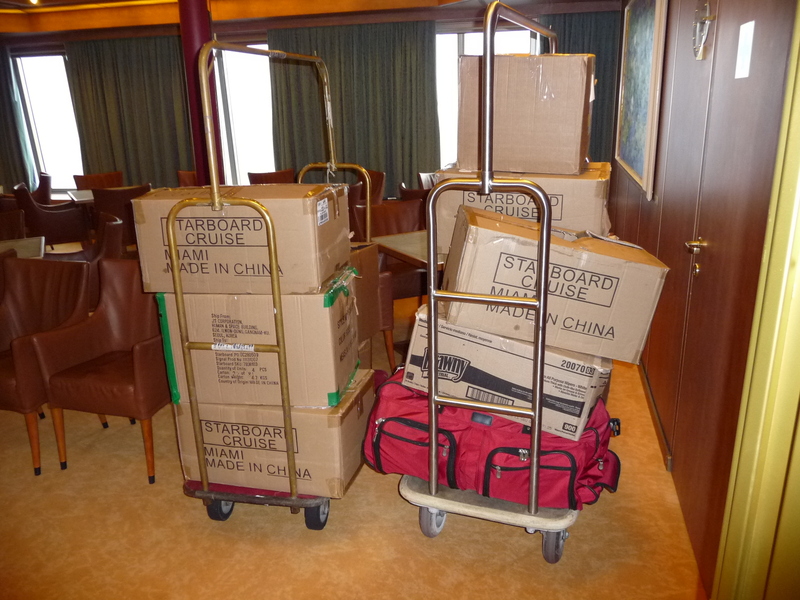 Another successful visit to Fanning Island (and other pacific islands) was completed after embarkation on the Holland America Volendam cruiseship. 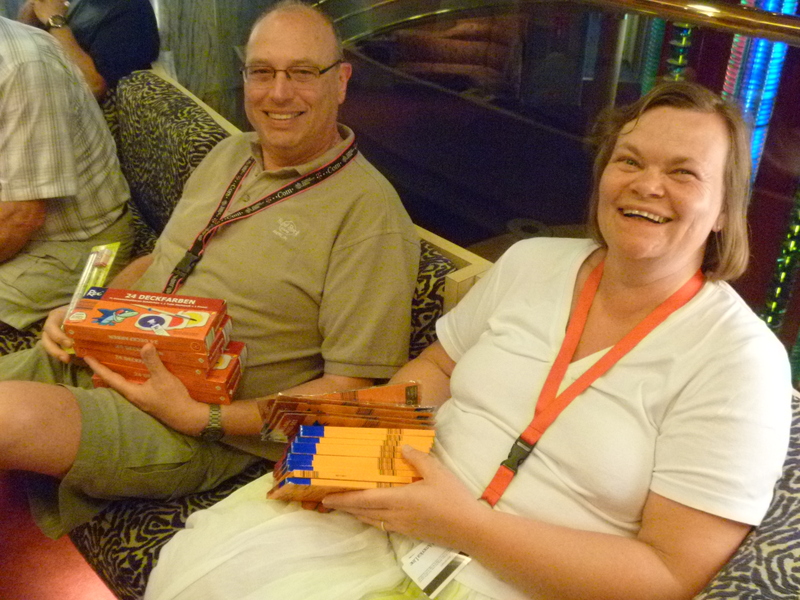 The cruise began at Sydney Australia and traveled to 3 islands of New Caledonia, Suva Fiji and Apia Samoa. 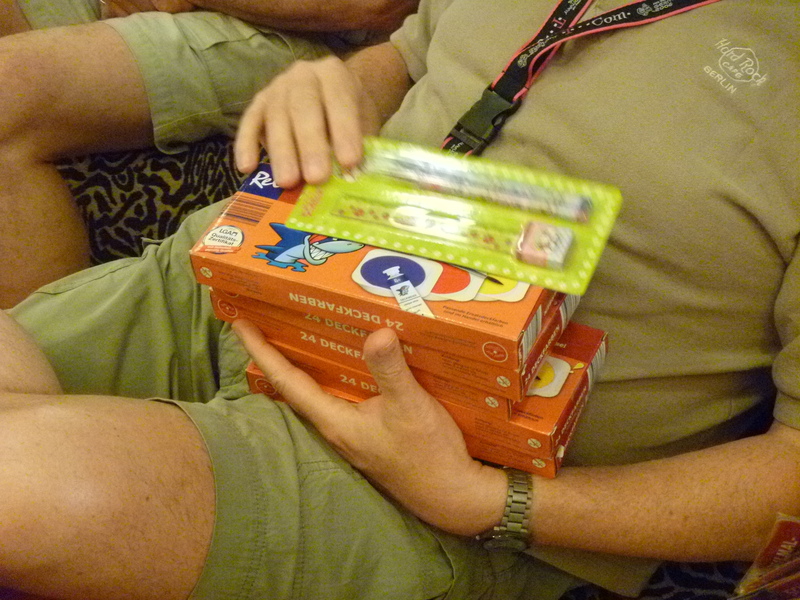 During those visits, passengers were able to shop for supplies to be donated to Fanning Island. 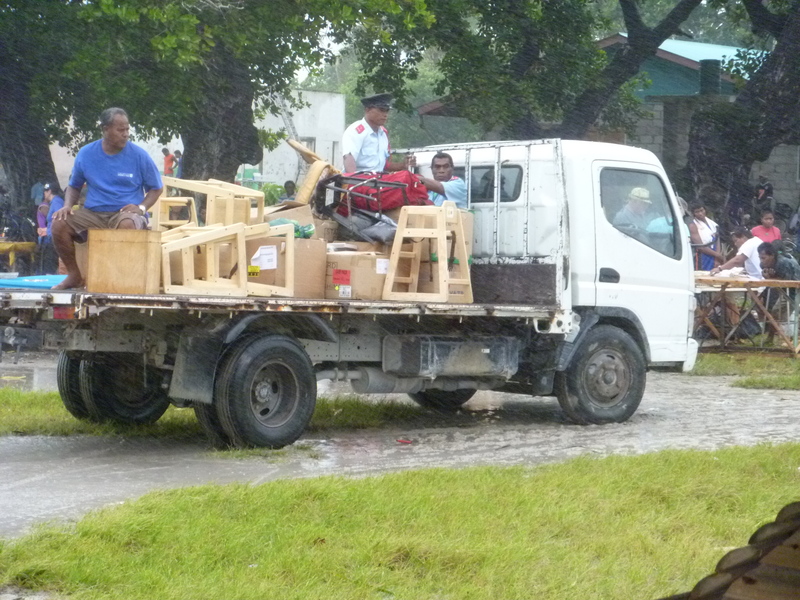 Over 10 boxes of supplies, mostly clothing, were given to the local council about mid day when most of the passengers were touring the island. The day visiting Fanning was cool, cloudy, off/on rain showers (some very heavy squalls), to the point the ship stopped tendering about every hour due to visibility being poor (or none at all). 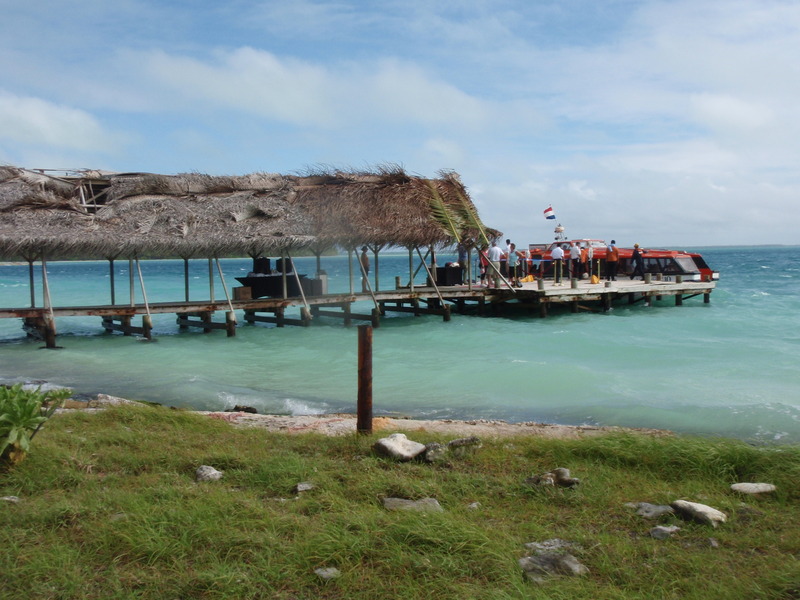 The seas were very rough and those of us who had the early tenders from 8:30am to 10am were successful to get to the island and either shop at the small island craft tables or get on the available small truck tours that go up and back on the island. 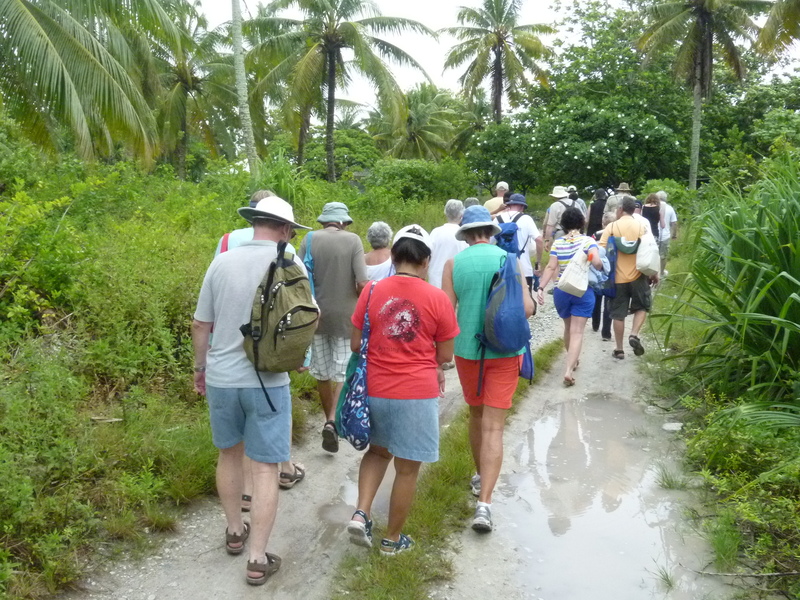 About 30 people were able to tour the island on a special walking tour and visit the many sights described on the Pacific CARE Missions webpage. Although the day was very cloudy with heavy intermittent rain showers, the passengers seemed to have a great visit. Many comments, which are always heard from passengers, were that they wished they could have heard more about Fanning before getting on the ship and especially before arriving to the island. 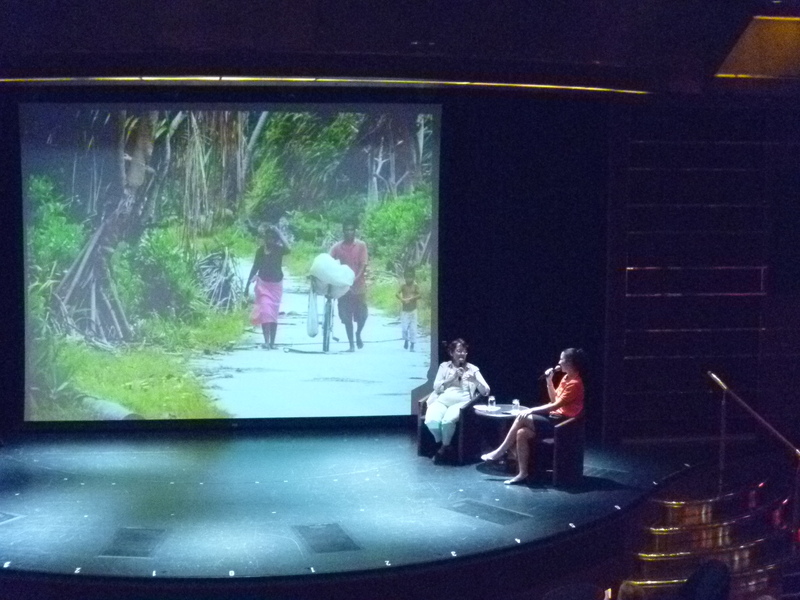 Pacific CARE Missions director Rich Smith gave the Cruise Critic group some information at the Meet and Greet gathering the day after many embarked the ship at Sydney, and also during a ship approved private/public invitationed gathering which was held in the Wajang movie theater a day before arriving Fanning. About 85 people attended that meeting and were then informed about visiting Fanning and highlighted past supply donations on other cruises and cargo vessels. 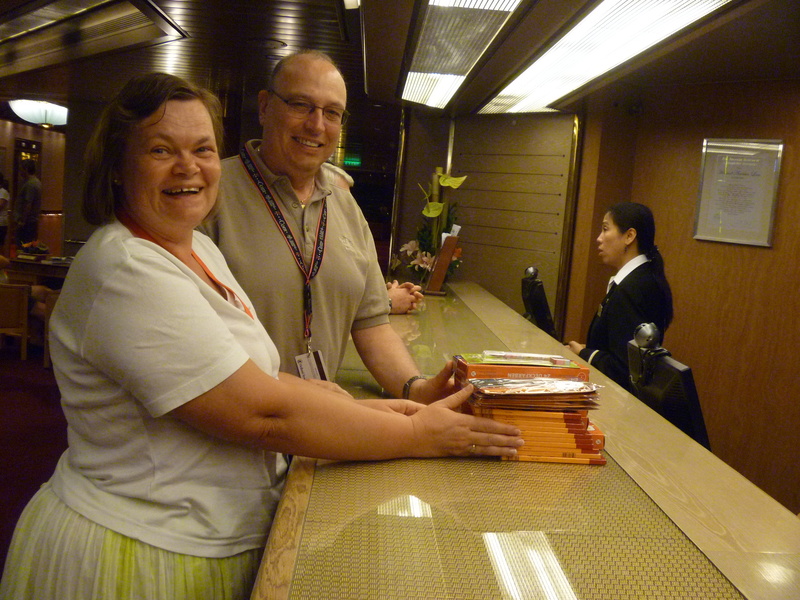 The passengers seem to have been talking things up well after the special visit to Fanning on this Volendam cruise, and some new developments to try and help the residents there are in the works currently. One development is that about 5 computers have become available to give to Fanning in future callings. Another special situation the ship allowed was to hear from a lady that was born and raised on Fanning, whos father was Mr. Palmer, the manager of the Copra plantation back in the 40’s and 50’s. She lived there until she was 18 years old (she is now in her 60’s). About 200 people attended the session in the large showroom theater while a picture slide show was running in the background and pictures were discussed during the session. 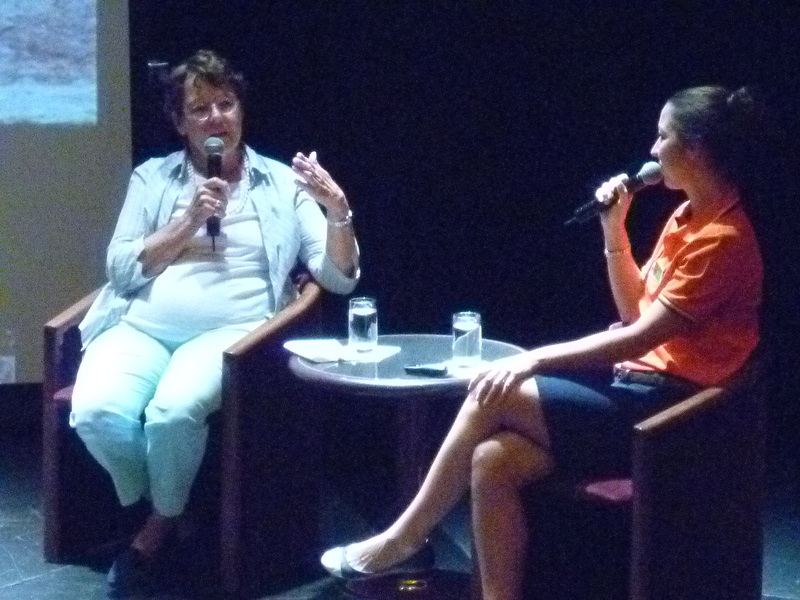 A Q/A session to highlight her life on Fanning and what she experienced during her visit was so special. Many felt the visit to Fanning, and meeting her and hearing the history along with pictures of the island, made this trip their best one. To see the full interview video click here. 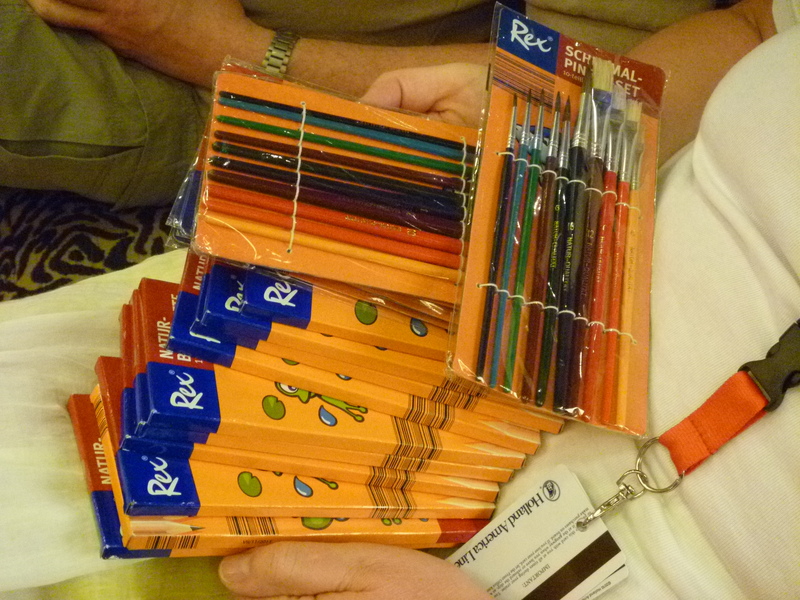 Note: funds are still needed to cover the expenses of supplies that were delivered on the March Rotterdam sailing. No salaries or other overhead are paid from donations to PCM. 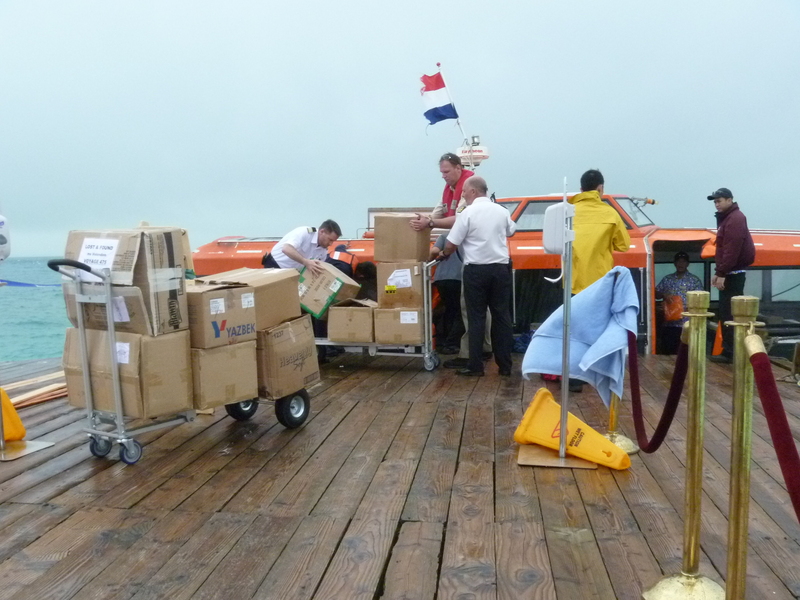 100% of your tax-deductible donation goes directly to covering the needed supplies that were delivered on this sailing. To see the current financial needs and what donations have been received to cover expenses visit the DONATE page.